3. Citizen- Educators inspire students to positively contribute to and responsibly participate in the digital world. Create experiences for learners to make positive, socially responsible contributions and exhibit empathetic behavior online that build relationships and community. Establish a learning culture that promotes curiosity and critical examination of online resources and fosters digital literacy and media fluency. Mentor students in safe, legal, and ethical practices with digital tools ad the protection of intellectual rights and property. Make positive, socially responsible contributions. 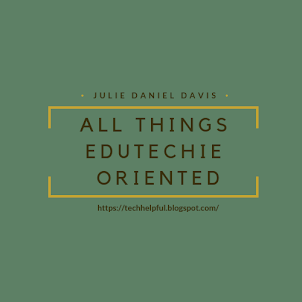 I am an avid edtech blogger. As much as it helps me gather my thoughts and think through things, I also see it as a way to model and show positive professional digital behavior. While the free online community of the internet gives us rights to so much information, also contributing to the digital landscape should be a responsibility of an educator. Exhibit empathetic behavior. As an active member of various Twitter chats, sharing my views on different topics is part of that community. While my views may vary from others, being respectful and open to the views of others online is an important part of being a productive digital citizen. For me, I often friend or follow people that have different views than myself to grow my mindset. Building relationships and community. Through the use of the Google Suites apps I am able to collaborate online with fellow educators both in my system and outside. Google Hangouts, Google Docs, and my Google Calendars are used on a regular basis to stay connected to my community. Becoming a moderator of #TNEdChat twitter chat on Tuesday nights at 8pm ET has also help me grow my community and build relationships with other educators both near and far. Modeling this active use of technology to grow myself is important to me. Twitter has become my "go to" whenever I find myself stuck with an educational issue. I can tweet a question out and because I have an educational learning relationship with many of my followers, I often get immediate suggestions and ideas to move forward. Establish a learning culture. Our school has recently created a "philosophy of technology" to guide our learning. After creating that, we then created a graduate profile in terms of technology skills we want our students to have when they graduate from our school. We are currently in the process of breaking that graduate profile into true technology standards by grade level that we want to make sure our students are reaching. As an educator, I think it is important for parents and students to see that we are diligently working towards a framework that shows both value in using technology for education and the limitations we think that are needed in regards to good stewardship of technology. Curiosity. Access to technology allows myself and my students to see a myriad of viewpoints on any topic of interest. For myself, when questions come up in class that have pricked someone's curiosity, we use digital tools to learn more about subjects. I do the same every day. Creating a culture of lifelong learning with digital tools helps students to see the importance of how quickly they can learn with the right keyword search. I also model this for other teachers when they ask me how to do something digitally and I find a resource online through Youtube or a blogpost and share it with them. We are in a world where the smartest person in the room might actually be the computer. To access the information and turn it into knowledge is contingent on our own curiosity. Critical examination of online resources. Learning how to critically look for resources on the internet is a valuable tool. It is important for teachers to learn how to discern good resources for our students. Learning where to look for the owner of a website and doing comparisons with multiple websites helps us to share and learn non-biased information with our community. Teaching our students how to do the same is also important. Many years ago I would create fake websites that made no sense to what my students were studying about and send them to the web address. Teaching students how to critically look at online information is a definite skill for all of us. Digital literacy. As a digital citizen I have a responsibility to learn how to use technological tools effectively. One of my pet peeves is when classrooms just digitize what could be done with paper and pencil. While there is a time and place for all levels of tech usage, using technology in 21st century ways helps our students for their futures. Media fluency. Whether I am curating or creating information it is important to have a technology toolbox that gives me varied resources. Whether I find my information using Google Scholar, Twitter, or Edutopia I should look for multiple places for information. Just like I want my students to have multiple sources for papers, I should be creating a digital toolbox for myself. Because we have already talked about the importance of contributing to the digital world, we also should be looking for various digital formats to communicate and share our knowledge. Mentor. I am thankful for mentoring people in my own life that have grown me as an educator. I too try to help others (if they want help) through various digital outlets. I share my own failures and successes on my blog for anyone to see. I use the hashtag #CHAedu to share thoughts with local Chattanoogan educators. I offer help in my community through edcamps and technology conferences. Please hear me say I don't think I am a master teacher but I do try to help others as they navigate edtech because I have been doing it for a while. Safe practices. I model safety by only accepting people I know to view my personal life online. I also make sure I don't share too much personal information when talking with others. I often will block Twitter users that don't seem to have a legitimate reason to be following me. I try to keep my social media accounts clean from spammers and questionable followers. Legal practices. I try to give credit when I quote other people or articles online. If I share graphics, I either make them myself or get them from somewhere like www.photosforclass.com so that they are creative commons cited. Ethical practices. When I see rude or inappropriate comments on the internet I do not participate in the conversations. I have been known to contact people directly when I see cyberbullying taking place. Protection of intellectual rights and property. As mentioned in 11 above, using creative commons and making sure to cite the works of others when I blog, tweet, or share shows the importance I place on the works of others. This helps students to see what non-plagiarism looks like. Model and promote. I'm probably annoying about this. I remind and show teachers the value of a positive online digital footprint often. I promote the importance of doing that for our students. So many teachers don't want to participate in social media but I think it is important for us to show it positively to our students. I also feel it is important for me to model using social media for educational purposes for my fellow teachers to see. Management of personal data. By modeling personal contact through direct messaging and showing the importance of private versus public accounts, I show others how to manage their own personal data. Management of digital identity. By being mindful of my digital footprint and the persona I want others to see regarding me, I am careful about what photos I upload, who can tag me in photos, and how others might see me. Protect student data privacy. It is important to not use names of my students online and if my students' parents don't want their identity represented online I adhere to their wishes. I am also careful about asking or creating accounts for students for learning purposes. I often will choose software that works with Google because I know my students can sign in through their accounts. This allows me to protect the privacy of my students. We often talk of the importance of digital citizenship for our students but we are lackadaisical about teacher expectations on the same topic. 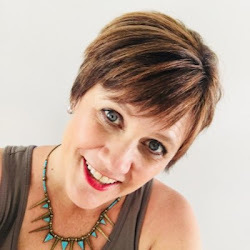 Many teachers feel that their digital identity is their own business and shouldn't be judged or have expectations on it but we live in a society that values social media and its connections. Our digital identifies are the only way some people know anything about us (and our students). We need to start teaching into this aspect of our students lives by modeling empowered digital citizenship behavior.